It is definitely not an easy task to pull off a scorpion kick in football. And that too in the dangerous half of the pitch. 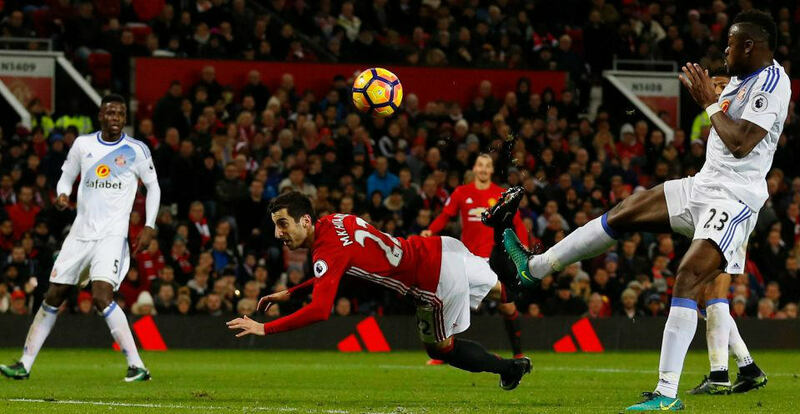 Arsenal’s Olivier Giroud’s scorpion kick against Crystal Palace was down to “luck” but the striker acknowledged he had been inspired by Henrikh Mkhitaryan’s similar effort for Manchester United. 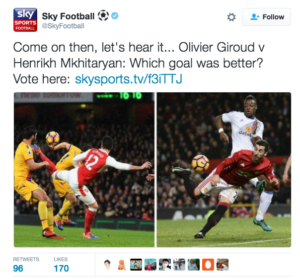 And the comparison was not lost with some asking their viewers who did the best Scorpion Kick between Giroud and Mkhitaryan. 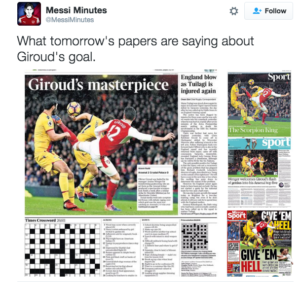 Not even Wenger could hold back on Giroud’s skills! Arsene Wenger, who gave Giroud a second straight Premier League start, said it was one of the best goals he’s seen during his 20 years at the club. “He transformed that goal, I would say, into art. Art is there because of the surprise, because of the beauty of the movement,” Wenger said. “It will be remembered as the Giroud goal that nobody will forget. Every striker is remembered for two or three special goals, and that will certainly remain with him forever. The Armenian international scored a sublime scorpion kick goal last night against Sunderland which he hailed to be his best ever. He is known as a versatile attacker after establishing himself in world football during his time at Borussia Dortmund. Jose Mourinho will be desperate to bring out more from him after his magical finish at Old Trafford. 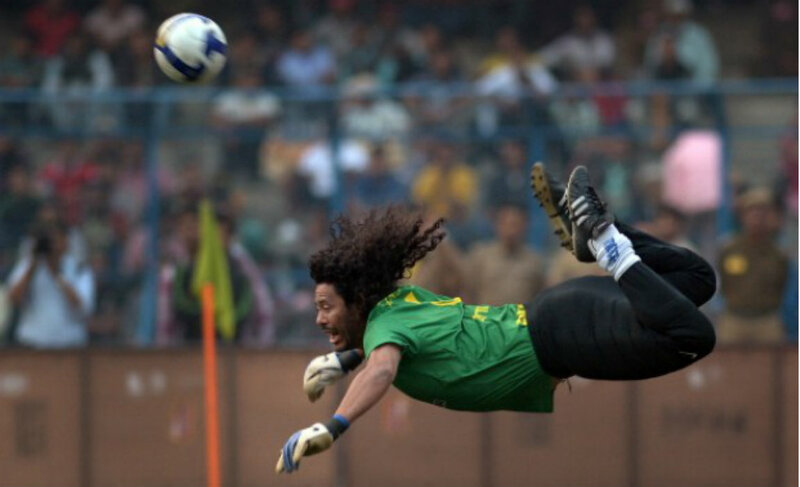 The legendary Colombian goalkeeper was nicknamed as El Loco for his sweeper style play at the back. His phenomenal scorpion kick save against England in 1995 is surely one of the best in many years to come by. 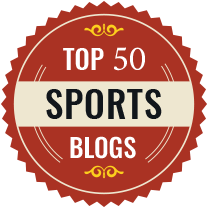 It’s not surprising to see Zlatan in the top half of this list as he is famous for scoring all kinds of goals. 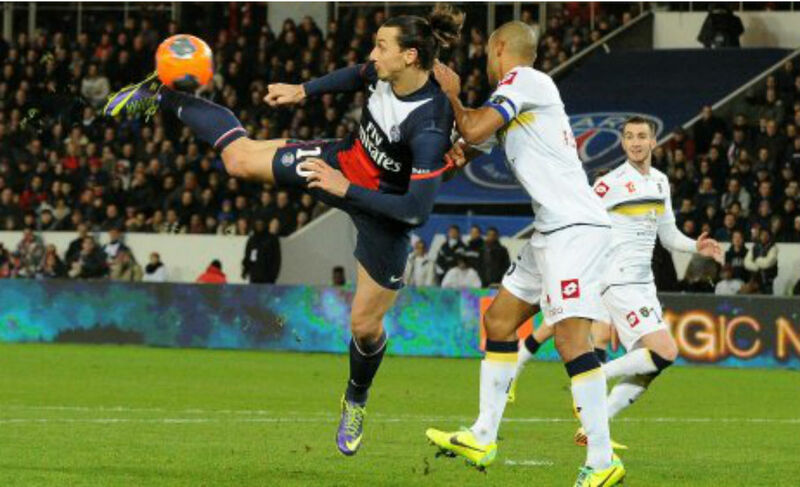 From bicycles to acrobatic efforts, this one comes from his trade mark Zlatan style archive. 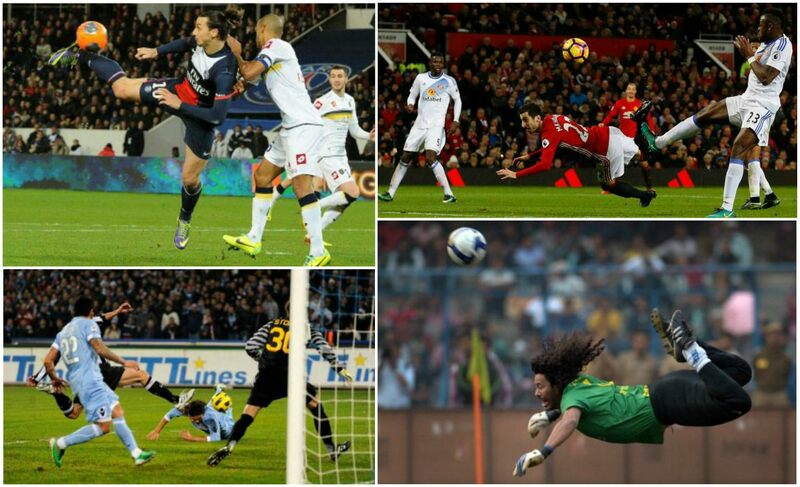 During his time at Napoli, Cavani scored goals for fun and one of them included a scorpion kick against Juventus which he managed to pull off after missing out on a diving header. After 21 years, Khune replicated Rene Higuita’s renowned scorpion kick save. 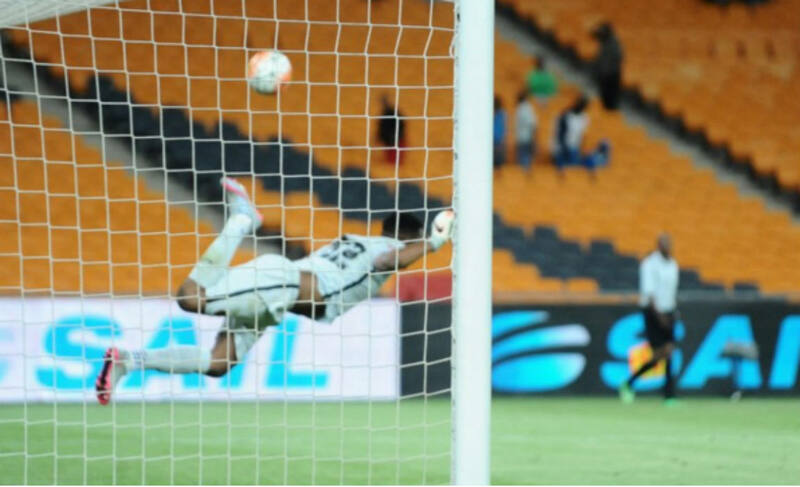 The Kaizer Chiefs goalkeeper pulled off the save in club’s 1-0 win over Mpumalanga Black Aces.